Trouble sleeping? We all know how essential it is to get plenty of sleep, but how often does that happen for you? 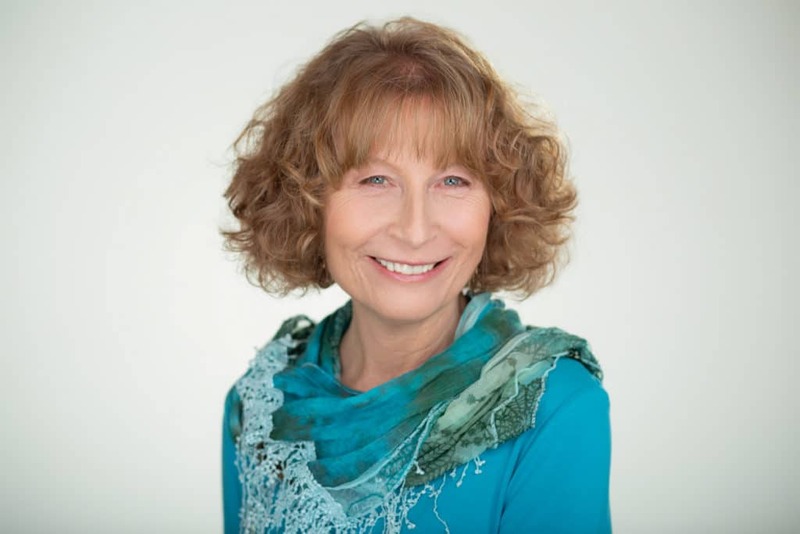 Given your busy life and all the stress around raising a family, it might seem impossible. Once you finally get into bed, do you lie awake with your thoughts and worries? Is that when the stress of your life comes sneaking in? If you’re having trouble sleeping, you are not alone. The good news is there’s a lot you can do. Not only do you need enough sleep, but the quality of your sleep is critical. You need to sleep deeply so your body can regenerate. Poor sleep will raise your cortisol levels, mess with your hormones, weaken your immune system and your memory, and increase your risk for chronic disease. There’s also an interesting link between too little sleep and weight gain. Here are some tips to get you drifting off into healthy sleep in no time. If you wake up tired or sore, having trouble sleeping, or if you are sleeping on a mattress with toxic materials, you might want to replace your mattress for better, healthier sleep. Your circadian rhythms and your hormone production is optimal when you have a consistent sleep schedule, going to bed and waking up at approximately the same time every day. The best time to get deep sleep is between 10 p.m. and 2 a.m., so try to get in bed before 10. Turn off all electronic screens at least an hour before you go to bed. Don’t read, work, study or watch TV in bed. Get plenty of exercise every day. Exercise improves the quality of sleep. Cut out stimulants in the afternoon and before bed. Limit caffeine to one to two cups in the morning. Lower the temperature in your bedroom. Most people sleep best if the room is cool and the bed is warm. Sleep in a very dark room. Get blackout curtains, if necessary. Cover or remove all artificial lights, such as clocks, from your bedroom. Spend less time in bed. Lying awake in bed weakens your mental association of bed and sleep. Don’t obsess about what time it is when you wake up in the night. If you have a habit of waking up in the middle of the night and lying awake, it’s a good idea to get up and do something relaxing for a while, then go back to bed when you feel sleepy. Stress throughout your day can impact your sleep, so create a relaxed background state during the day. Set aside some time every day to meditate, do yoga, or another relaxing practice to maintain a relaxed state as much as you can. Take a hot aromatherapy or epsom salt bath one hour before bed. The essential oils Roman chamomile, clary sage, lavender, marjoram, neroli, sandalwood and ylang ylang have soothing, calming, sedative properties that promote sleep. Try a bath with 12 drops of lavender and 3 drops of neroli. Refrain from calling yourself an insomniac. The story you tell about your sleep (or lack of) might keep you stuck in the habit of not sleeping. 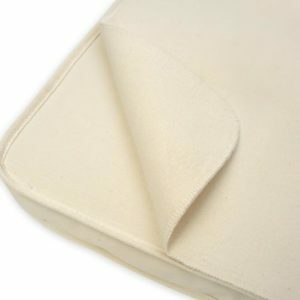 Buy the best quality natural organic bedding you can afford. Many people spend a lot more on shoes or a jacket they wear for a few months than they do on bedding they sleep on every night for years. Synthetic bedding treated with chemical coatings can make you sweat and disrupt your sleep. When you sleep in non-toxic, organic bedding, you are making your bed your place of rejuvenation and comfort. 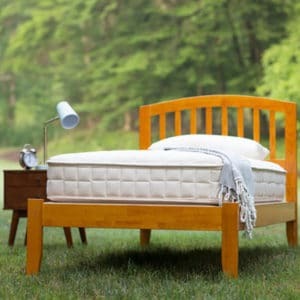 Natural materials will feel good and help you drift off into healthy sleep. Do you have a dust mite allergy? Dust mites live in mattresses and they feed on dead skin cells. 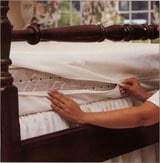 If you have allergies or asthma, you’ll need a dust mite cover that completely encases your mattress. This barrier will cut off their food supply and keep the mites away from you. 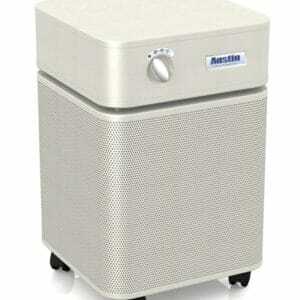 Tightly woven organic cotton dust mite covers are safer and healthier than plastic covers made with chemicals.